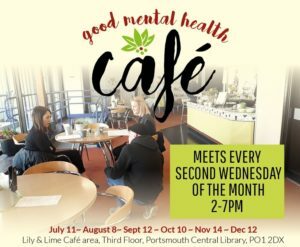 Join us at the Good Mental Health Cafe coming up this Wednesday 8 August. It’s in the Lily&Lime Cafe on the 3rd Floor of Portsmouth Central Library from 2pm. Just take a break and have a cuppa in the cafe, or browse the stalls for information about local groups and support services. There’s also a free taster workshop at 4.30pm on the Seven Habits of Mentally Healthy People with Carolyn Barber. So if you’re feeling stressed, depressed or anxious, or you’re worried about someone else, or you’d just like to know more about what’s going on locally, you’re very welcome to drop by. 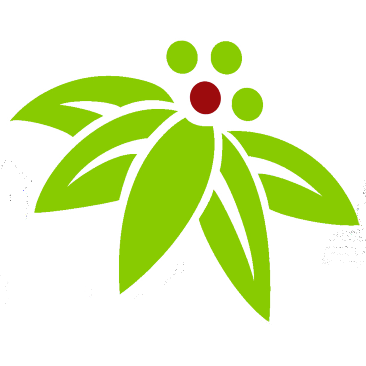 This entry was posted in Events, Good Mental Health Cafe, Volunteering, Wellbeing and tagged Anxiety, drop-in, good mental health cafe, mental health, Portsmouth, Wellbeing. Bookmark the permalink.